Make a splash on the Gold Coast. When planning your next holiday what are the crucial check points when settling on a destination? With our never ending sunshine, white sandy beaches, and amazing crystal clear waters, the Gold Coast should be at the top of your bucket list. Whether you’re set for an action packed getaway or would rather relax away into the abyss, the Gold Coast oceans are calling your name! We are called Surfers Paradise for a reason and with one of the world’s most iconic and recognised beaches on our doorstep it’s the perfect place to learn to catch a wave. Under the watchful eye of experts who have spent more time in the water than out of it, you’ll be given a step-by-step lesson and encouragement to help you learn to catch your first wave in Paradise! Have a chat with the team at Go Ride A Wave located only a 2 minute walk from the hotel. If you want a boat ride with more hair-raising thrills than your average cruise, then book in for a Jet Boat adventure! Reaching speeds of over 85 kph, get your heart racing and experience exhilarating 360 degree spins, slides and fish tails all in an idyllic Gold Coast setting on the Broadwater. Jet boating is suitable for all ages and levels of fitness and can be enjoyed the whole year round. Sit back, buckle in and feel the need for speed! For the ride of your life, check out Paradise Jet Boating or Jet Boat Extreme. 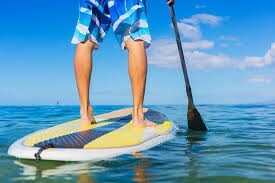 Located right in the heart of Surfers Paradise, Go Vertical SUP is the leading Stand up Paddle School on the Gold Coast. From learning to paddle lessons, to lead tours of the local waterways you will achieve a sense of well-being on the water, taking in the beauty, spotting dolphins, peacocks and other birdlife along the way. Fun for all the family and easy for all age groups and fitness levels. For those wanting to venture further south, another popular location for paddle boarding is the beautiful Tallebudgera Creek located just south of Burleigh heads. Pop in and see the team at Smoothwaters Gold Coast Kayak Hire and Gold Coast Stand Up Paddle Board Hire for your quality boards and get exploring. 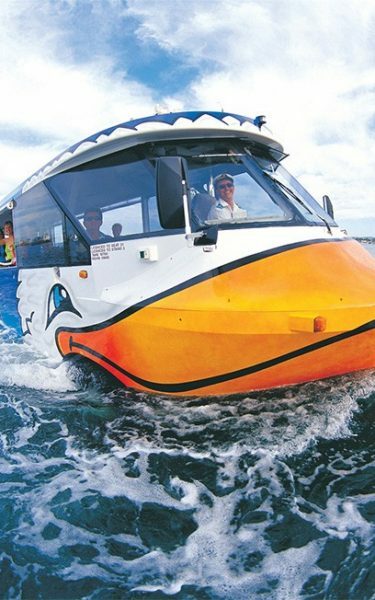 Experience the Gold Coast as you never have before on the amphibious ‘Aqua Duck’. It’s a spectacular city tour and fun waterways cruise all in one. 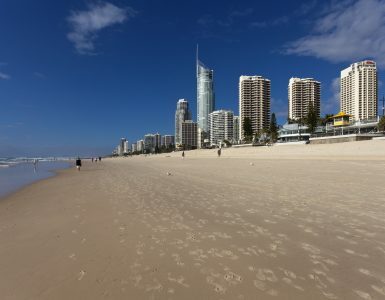 The city tour travels past popular Gold Coast landmarks and along the famous golden beaches of Surfers Paradise. Then, be amazed as your vehicle is driven into the Gold Coast Broadwater and instantly transforms from bus to boat. It’s a ‘must do’ family activity and is suitable for people of all ages. The Southport rock pools is an outstanding spot for some refreshing fun in the sun and is one of the Gold Coast’s best free things to do with kids. 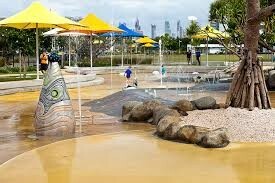 Southport Rockpools is located at the Broadwater Parklands on Marine Parade right on the waterfront, and offers an excellent range of aquatic entertainment for children featuring a man-made tidal rock pool, a variety of fountains and water jets, artificial waterfalls and more. Ideal for toddlers and younger kids – but with enough to keep older children entertained as well – it’s a well-planned and safe area that is monitored by lifeguards throughout the day. Access is also easy with only a short Tram ride directly out the front of the hotel. With full and half day tours featuring exclusive offers just for our Novotel in house guests, we will ensure you discover something new on your next visit to the sunshine drenched Gold Coast! Stop by and say hello at our friendly tour desk located on the ground floor of the Novotel Surfers Paradise.